As a Seattleite, I don't use umbrellas very often (for some reason, its always been anti-cultural here). That said, we seem to be having monsoons lately and not just a light, steady drizzle, so I'm reconsidering my adherence to this wacky "get-wet like a real Seattleite" rule. My absolute favorite umbrella when I was a kid was a clear vinyl, dome-style one with, I think (? ), a mickey mouse design. I am delighted to share with you an adult version of a clear, domed umbrella (from Umbrellas.net), which I would like to have in my rain gear arsenal. I would like the yellow roses, please, should santa be reading. How else to recognize the 4th weekend? 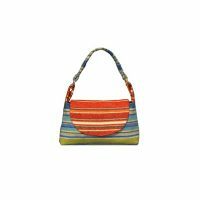 If you feel like shopping, consider splurging on hand crafted items made by independent designers and artisans. Happy Fourth, all! 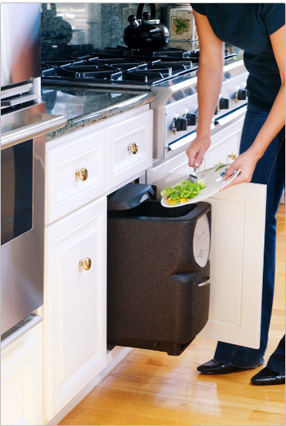 I like the NatureMill because it can be used indoors and fits in a kitchen cabinet. It can also go outside, and comes in a variety of colors. The basic one is a little boring so not really cool per se, but its utility is pretty slick. The Worm Factory has a bit of an Asian flavor to it in terms of styling, and again doesn't satisfy the cool factor but its better than some. Maybe it could be decorated with gold or black Asian lettering. The Sun Frost Scrap Eater is pretty cool. Made from an old Bordeaux wine barrel, it's designed to sit outside and make rich earth out of kitchen scraps and the like. 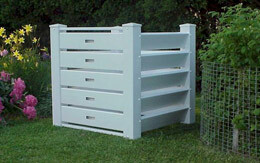 The Garden Estate Bin looks nice in terms of its traditional style -- I just wish it weren't made from PVC. The RotoTherm Cranktec System reminds me of a big Tinker Toy (remember those? ); its sort of retro and kind of futuristic looking at the same time. 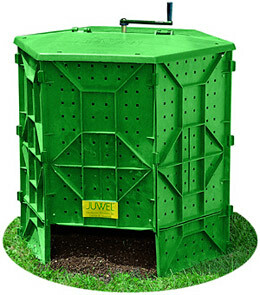 I like the sort of industrial look this one has, even though it is green plastic! 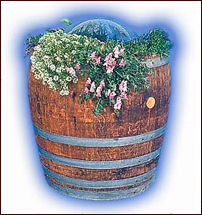 The Earth Engine Double Bin provides an organic, natural look that would blend into many yards well. I suppose it really all depends on what vibe you're going for. 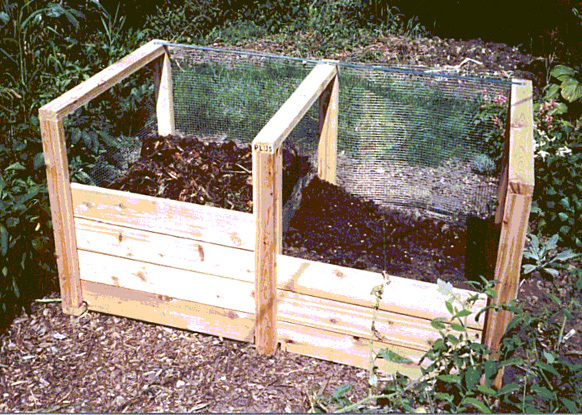 Seattle Tilth provides free plans for building your own three bin system that would look similar. Lowe's also offers similar free plans. 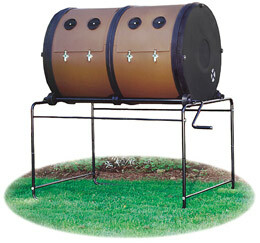 The ComposTwin Dual Tumbler seems like a composter in disguise. To me it looks like some sort of lottery machine. I bet it would work well, though. 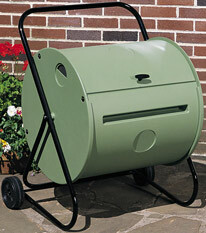 I mean for composting (not lottery drawings). The Back Porch Tumbler is a little powder coated metal guy that looks like a mysterious tool of some sort. Or a little robot; can you see the face?? Its a nice sage green and can be moved around on its two wheels, which could be very convenient. 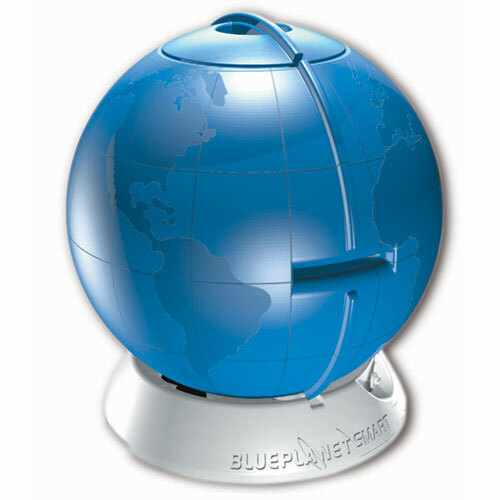 But the cutest composter I've found is called Planet Earth. A bit Marvel comics, perhaps, but it could be fun in the right setting. Who needs Hermes when you can get a chevy? I am a sucker for handbags, shoes, jewelry...I suppose really just accessories in general. 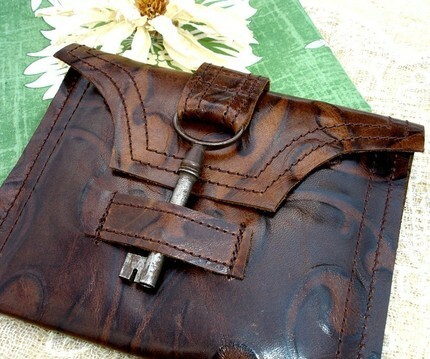 I've come across the most interesting reuse of materials for handbags yet -- vintage automotive fabric. 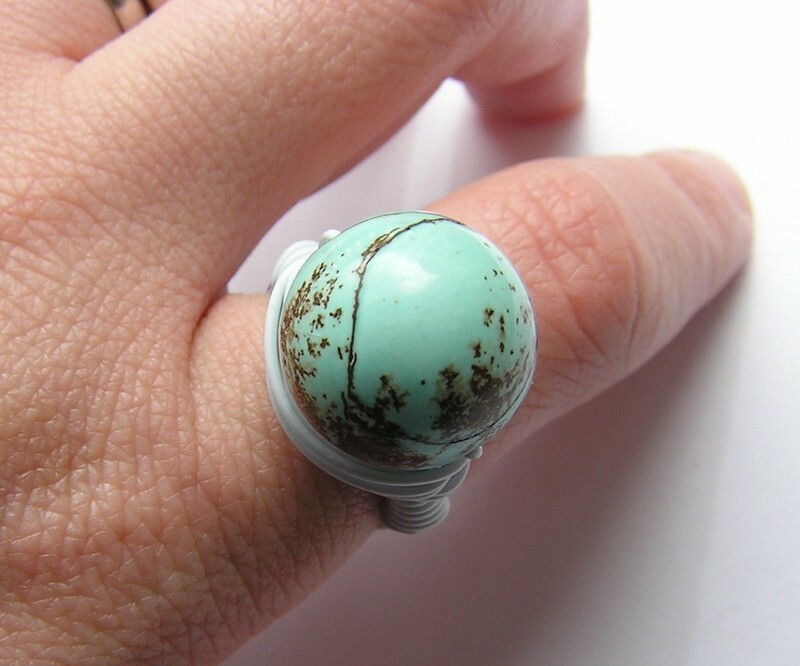 In the wrong hands, this could be a fugly disaster, but for Kim White, its brilliant. I am particularly fond of this groovy little shoulder bag hailing from the fabric of a 1975 GM Chevy Sports Van (back when vans were "sporty"). Rather Scooby-Dooish, wouldn't you say? If I were naming it I would call it the Daffney. My mom will totally appreciate this FEED tote bag for Mother's Day; the purchase goes to fund the schooling of a little girl in a third world country for one full year. Thanks to Danny Seo's blog for letting me know about it! 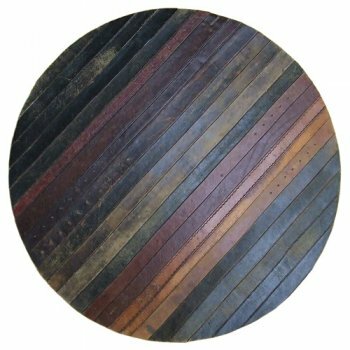 Ting in the UK has designed this super chic rug from old leather belts. I love it, but am sad that it costs so much (like almost $700). Came across it initially from a post on Hipster Havens, a really fun site with an author that speaks my language (she cusses all over the place, which I appreciate). I'm saving this belt rug idea as a craft inspiration. ...and I wish I were headed for this pillow from Plover Organic, featured on Design Sponge (BTW, look out for the Design Sponge Good Morning America feature to air next week). 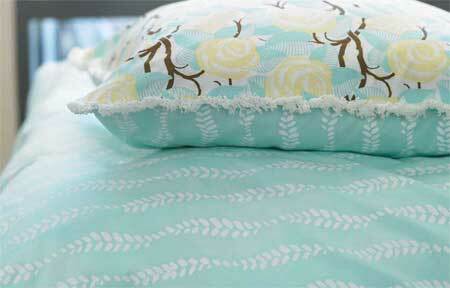 I really like the cozy handmade look of this organic bedding. Gorgeous. 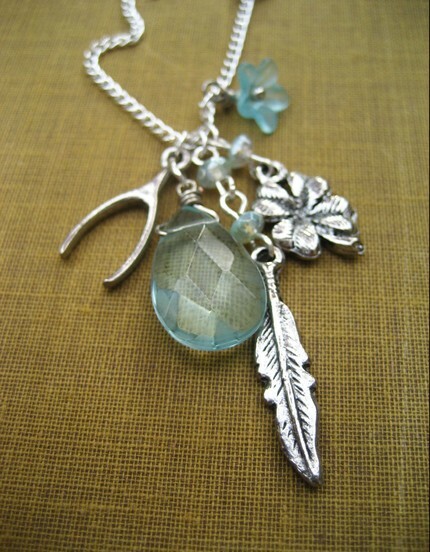 Sweet necklace from the Pebble Collection. Relishdress has another spring spirited bobble, in that delicious shade of blue. Very, very cool. 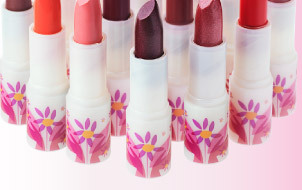 CARGO PlantLove is a collection of body-friendly and earth friendly lipsticks. The plastic case: made entirely from corn. 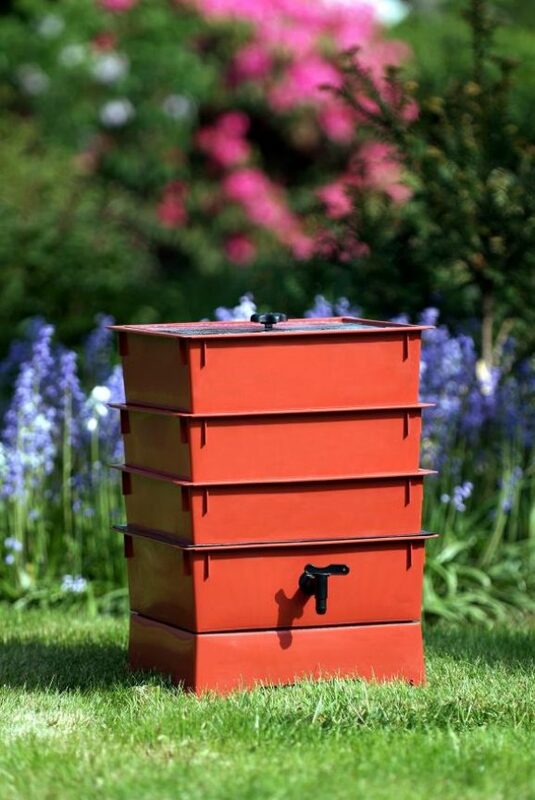 The outer box it comes in: grows wildflowers when you get it damp and plant it. If that's not enough to inspire a little makeup shopping (I mean, do you really need an excuse this good anyway? )...$2.00 from every sale gets donated to charity. Totally cute colors, too. Another nostalgic pillow find on Etsy -- this time from BennyAndHeidi. 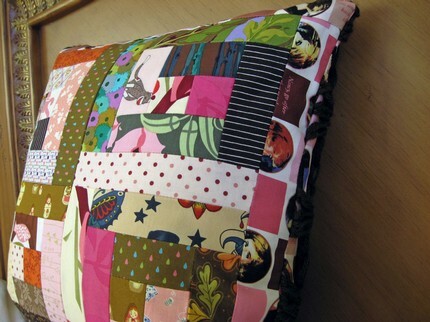 Its a patchwork quilt pillow with groovy fabrics, and a back covered with a Nancy Dre w pattern. 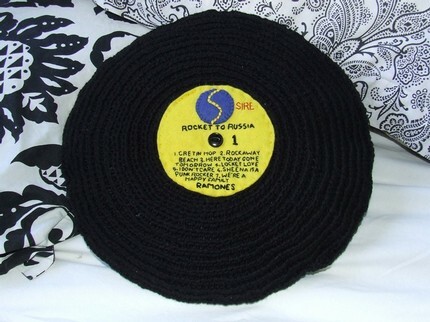 Bonus: crochet on the back side; it's like a perfect little bit o' 70's. A headrest to use when curled up with a mystery, a glass of milk and some Oreo cookies <though I suppose a bourbon would substitute in a pinch>. Maybe in front of the fire with a purring kitty or warm doggie hanging about. I actually have a hard back Nancy Drew book that Amazon mistakenly included in an order of mine, and I didn't have the heart to send it back. I've been meaning to dig into it and see how it reads 30 years later. 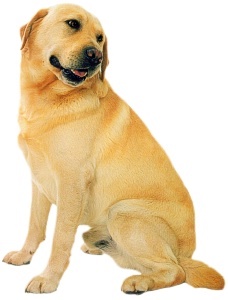 ...is bringing a life-size stand-up picture of your dog to work with you, from CustomLifeSizeStandUps! Or perhaps you'd like to create a faux table centerpiece with a photo of a centerpiece...seems like one could do all kinds of things with a giant cardboard stand-up piece to add a little humor and spice. Hmmmm. 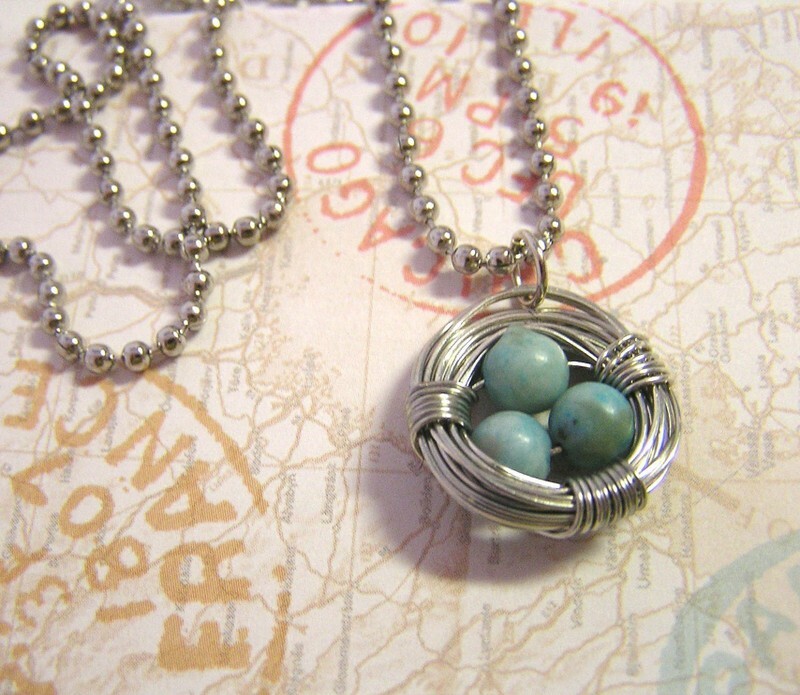 Came across an organic clothing online retailer calledd Maggie's that sells some cute and comfy looking stuff. They have really cute lounge wear cami/pants sets for for a great price ($32) -- cheaper than many non-organic like items. 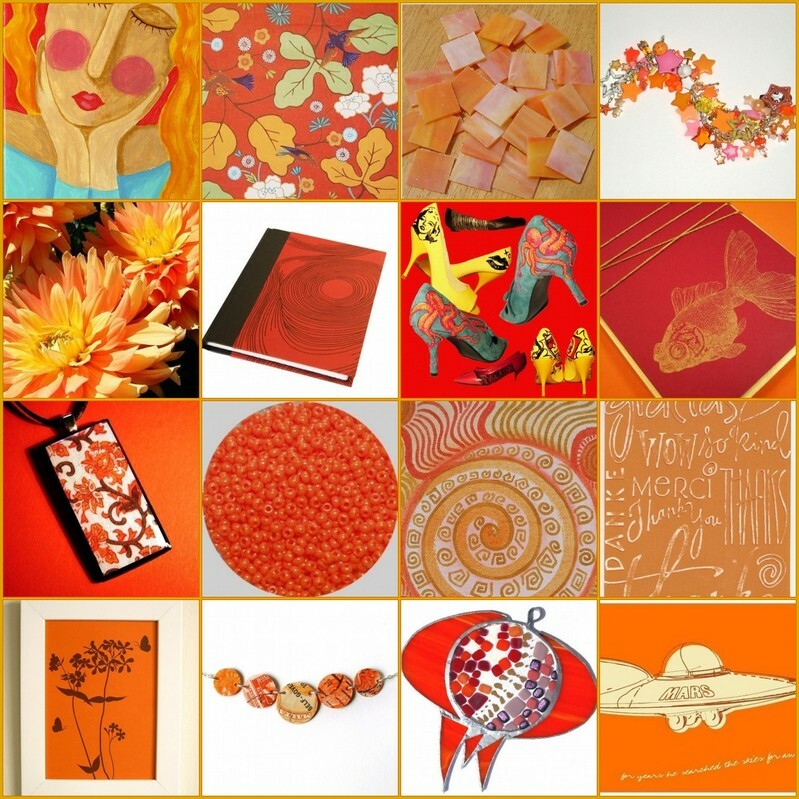 Would make great gifts for those green, eco friendly folks on your list. 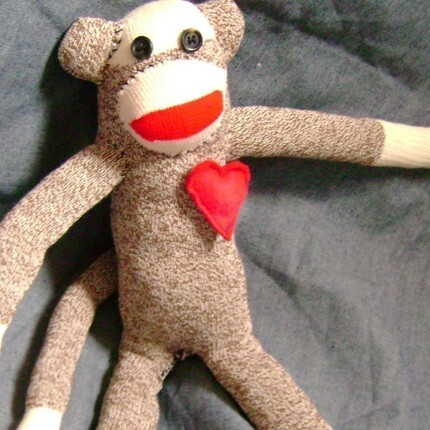 I found the following write-up on "knitting grannies" via an email alert from Springwise.com -- they provide "new business ideas for entrepreneurial minds." Sounds a bit affected (I mean, "entrepreneurial minds"? really...) but they tend to share some pretty interesting and fun ideas. Anyway. Swiss Netgranny is a collective of 15 grannies who knit socks on demand and sell them online. 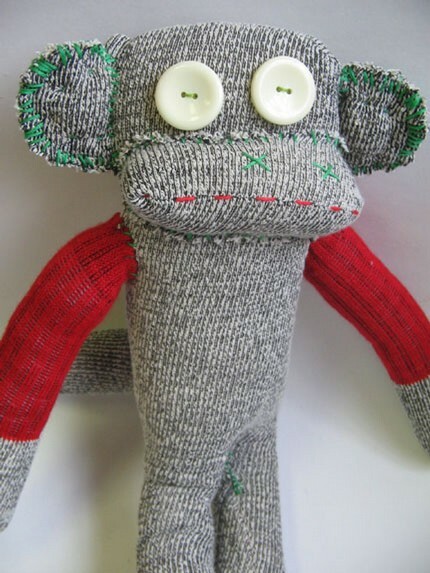 Customers can choose their favourite granny from a gallery of 'Grosis', which includes information on why the women knit ('not for money, just to pass the time') or about their professional credentials ('at age 6, I taught my 4 year-old sister to knit'). 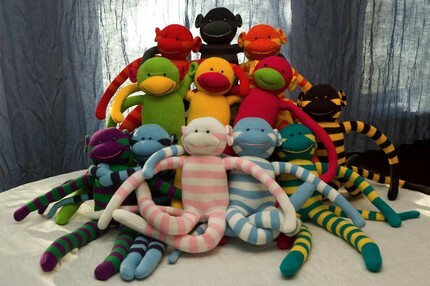 Customers pick the colour of their socks, or opt for a surprise design. After placing an order, their personal sock-knitting granny will take approximately two weeks to knit the pair of socks, which are sold for CHF 39 (USD 33 / EUR 26) a pair, including delivery. 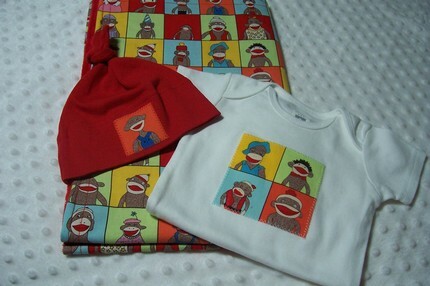 Netgranny was founded by Swiss fashion label Tarzan, who have created a product loaded with storytelling opportunities. While socks are generally a bland clothing commodity, this line of foot apparel lets customers pull up the leg of their trousers and share a great story with their friends or family. (Related: Full provenance sweaters and Mormor's baby clothes made by Danish grandmothers. 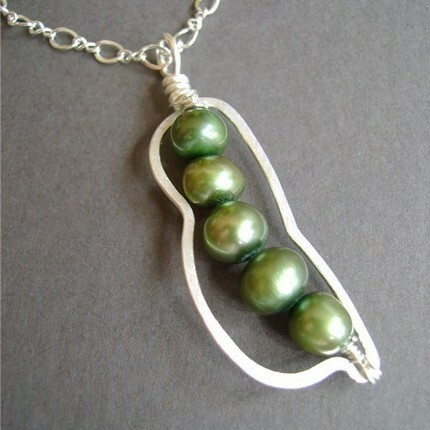 The Portland, Oregon crafter FrozenPeasAccessories has some fun earrings and necklaces for sale. 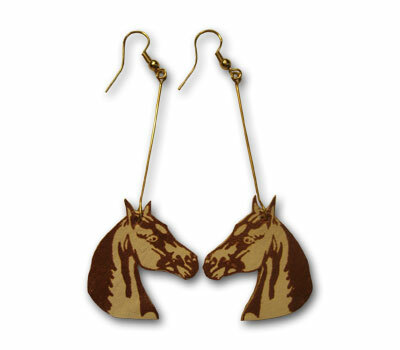 I particularly think the pony earrings are cute <weep, weep -- they're sold out>. 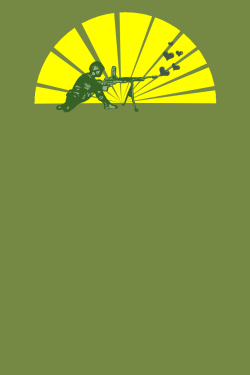 This tee from Bountee.com is great -- I'm all about the "make love not war" sentiment. The site is pretty cool, too -- its a beta from the U.K. -- and allows designers to upload their original T-shirt designs via digital files, and then they print 'em and ship 'em.